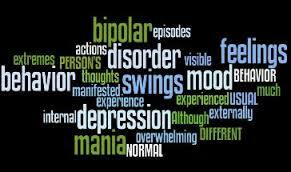 Bipolar disorder is a treatable medical illness marked by extreme changes in mood, thought, energy, and behavior. It is also known as manic-depressive disorder because a person’s mood can alternate between symptoms of mania and depression. These changes in mood can last for hours, days, weeks, or even months. Unlike people with clinical depression (the lows), most people who have bipolar disorder talk about experiencing highs and lows. Abnormalities in brain biochemistry and in the structure and/or activity of certain brain circuits are responsible for the extreme shifts in mood, thought, energy, and functioning that characterize bipolar disorder. A diagnosis of bipolar I disorder is made when a person has experienced at least one episode of severe mania; a diagnosis of bipolar II disorder is made when a person has experienced at least one hypomanic episode but has not met the criteria for a full manic episode. Cyclothymic disorder, a milder illness, is diagnosed when a person experiences—over the course of at least two years (one year for adolescents and children)—numerous periods with hypomanic symptoms and numerous periods with depressive symptoms that are not severe enough to meet criteria for major manic or depressive episodes. 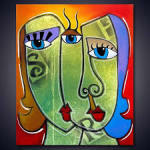 Bipolar disorder with rapid cycling is defined as four or more episodes of illness within a 12-month period. This form of the illness tends to be more resistant to treatment than non-rapid-cycling bipolar disorder. Up to 90 percent of bipolar disorders start before age 20, although the illness can start in early childhood or as late as the 40’s and 50’s. An equal number of men and women develop bipolar illness and it is found in all ages, races, ethnic groups, and social classes. When manic, children and adolescents, in contrast to adults, are more likely to be irritable and prone to destructive outbursts than to be elated or euphoric. When depressed, children and adolescents may have many physical complaints, such as headaches and stomachaches or tiredness. They may also suffer from poor performance in school, irritability, social isolation, and extreme sensitivity to rejection or failure. (National Institute of Mental Health).